The gentle waves of the Noosa River offer safe beaches, picnic tables, BBQs for families as well as a pirate-themed park for hours of fun. Action-packed activities for those seeking something faster range from deep sea fishing to speeding jet skis. A beautiful stretch of greenery with a weaving path lets you stroll along or stop and appreciate the view at one of the various coffee shops and restaurants. 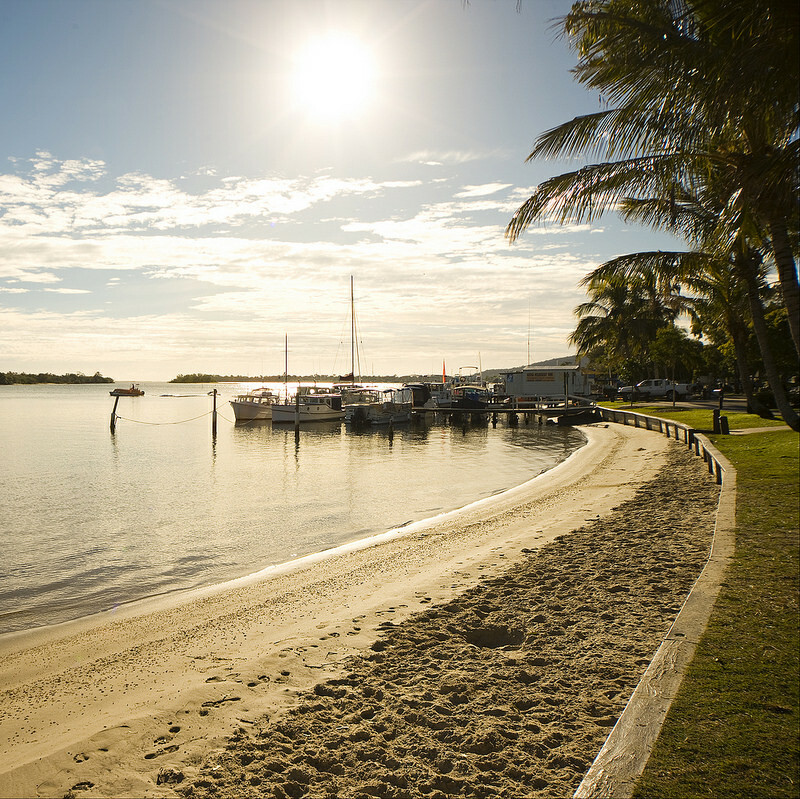 The scenery alone makes the Noosa River a must for anyone seeking to enjoy the best of Australian tourism. This is the main street running alongside the river. Take a picnic to one of the numerous tables under the shade of the beautiful trees. There are even BBQs available for a hot cooked lunch. Or enjoy lunch at one of the coffee shops, restaurants, and boutiques. Take in the sights and watch the kids explore the Pirate Park for hours. For those adrenaline junkies among you, why not get your kicks through the numerous facilities available, including tennis, stand up paddle boards, jet skis, boats and kayaks. Take one of Pelican Boat Hire’s boats out to the Spit and have some fun fishing before you reach the ocean. Kayak Noosa Australia provides kayaks in every size and shape for all skill levels to enjoy the beautiful river. For someone looking for a faster pace, check out Noosa Jet Ski Hire and take a jet ski out and bounce along the waves. For families looking to get the most out of the local area, take the kids on a tour of The Everglades or Fraser Island. Witness the beauty of the local environment and wildlife while having a fun day out in the great weather. Or if you’re in the mood for a little shopping, get picked up by the ferry at one of the many stops along Gympie Terrace and appreciate the view as you meander towards Hastings Street. Couples seeking some romance can enjoy the sunset with a glass of champagne thanks to the sunset cruise along the Noosa River or just enjoy the ride and listen to the tour of the historic area. One of the top Australian tourism destinations, Noosa River offers all you could want. We’ve got a range of Noosa holiday house rentals near the Noosa River and just down the road in Noosa Waters.